The Subaru Outback has been a class-defining vehicle since its inception. That's because there's nothing else quite like it: an all-wheel drive wagon with SUV-like handling, remarkable versatility, and Subaru quality. It's comfortable to drive around town and capable of off-road adventures. What's more, it's stunningly reliable: 98% of Subaru Outback models sold within the past decade are still on the road today. 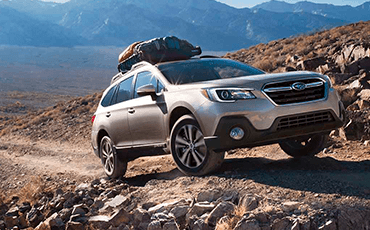 Keep reading to learn more about what the Subaru Outback has to offer, and be sure to schedule a test drive. If you're looking for similar quality, but need more room for passengers, check out the 2019 Subaru Ascent. Or, if you prefer a refined experience without the off-road capability, consider the 2019 Subaru Legacy. 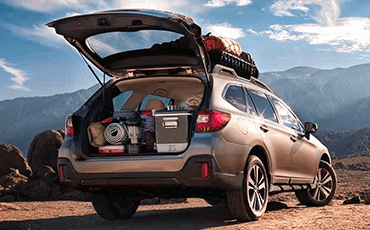 The 2019 Subaru Outback is equipped with an amazing number of standard features. The Symmetrical All-Wheel Drive sets it apart, but that's just the beginning. The interior is spacious and comfortable, with noise-reducing features and soft-touch materials to create a smooth, quiet ride. With 108.1 cubic feet of standard passenger volume, there's plenty of room for you and your passengers to spread out. 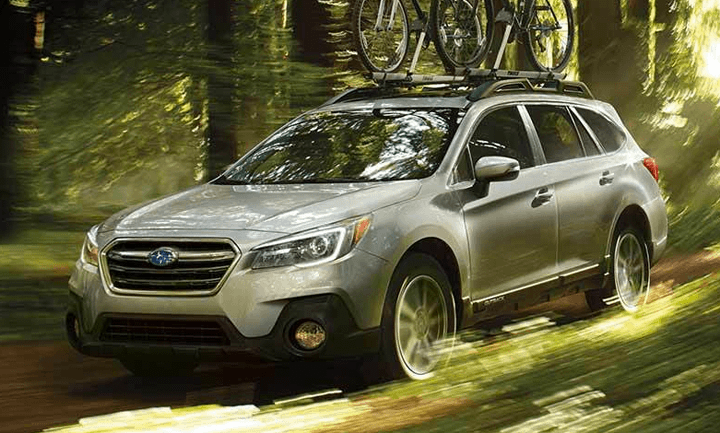 The cargo capacity is already impressive, but the 2019 Subaru Outback comes standard with exterior roof rails that enable you to carry even more--including bicycles, kayaks, and extra gear. 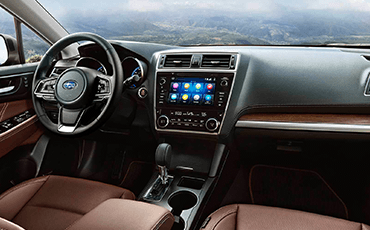 The Subaru Outback is also equipped with impressive tech features, like the standard STARLINK™ multimedia system. This lets you stay connected easily with features like Apple CarPlay™, Android™ Auto, and Bluetooth® connectivity. You can upgrade this system to include features like voice-activated navigation. Want to listen to your music with thrilling clarity? You'll love the available twelve-speaker Harman Kardon premium audio system. 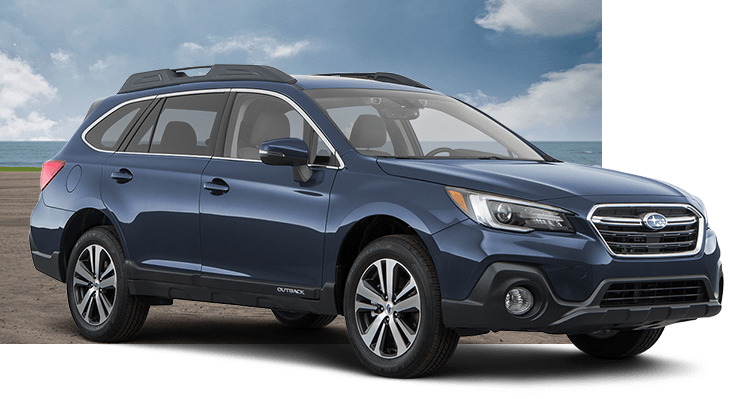 Subaru always puts a high priority on safety, and the 2019 Subaru Outback is no exception. It has received a five-star overall safety rating from the National Highway Traffic Safety Administration, marking it as a remarkably safe vehicle. Vehicle Dynamics Control, Active Torque Vectoring, and Symmetrical All-Wheel drive all make it easier to avoid accidents. 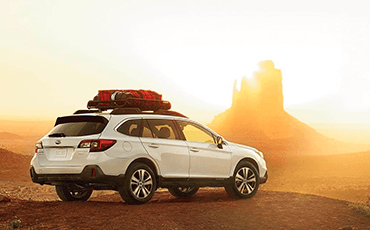 For 2019, every Subaru Outback is equipped with Subaru EyeSight® driver assist technology, which has been found to reduce rear-end accidents with injuries by up to 85%. EyeSight® combines Adaptive Cruise Control, Pre-collision Braking, Lane Keep Assist, and Lane Departure and Sway Warning to create a truly safe driving experience--and you can also add features that include Reverse Automatic Braking and Blind-Spot Detection with Rear Cross-Traffic Alert. 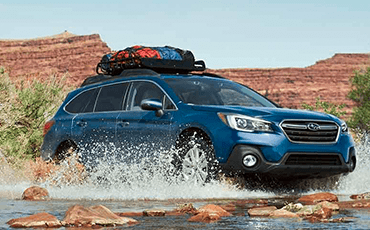 The 2019 Subaru Outback lets you choose between two SUBARU BOXER® engines. The standard four-cylinder BOXER® engine generates 175 horsepower while still giving the Subaru Outback up to 32 miles per gallon. Those who want more power should check out the available six-cylinder BOXER® engine. It puts out 256 horsepower and 247 pound-feet of torque! 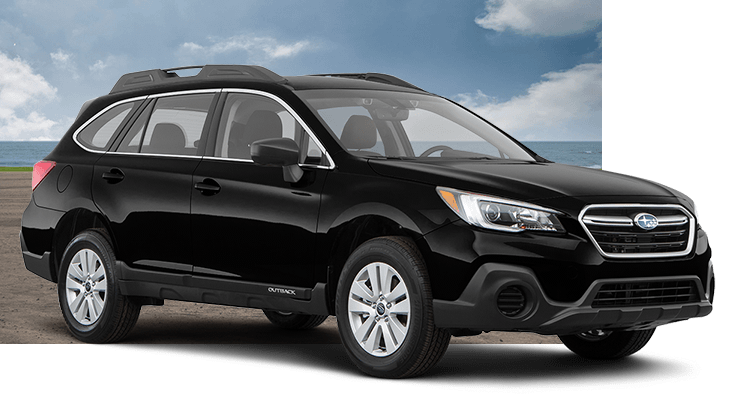 The Subaru Outback is a comfortable vehicle to drive around town. However, it's also an impressively capable vehicle that's a perfect choice for weekend off-road adventuring. The Symmetrical All-Wheel Drive is just the beginning: it also has 8.7 inches of ground clearance and off-road features like X-MODE® and Hill Descent Control. While many SUVs are simply glorified cars that sit higher off the ground, the Subaru Outback is a true utility vehicle. Whichever of the Subaru Outback trim levels you choose, your experience will be far from basic. 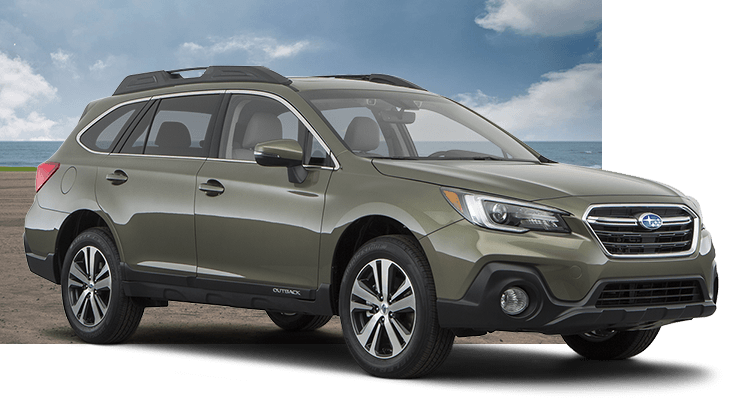 That's because even the entry-level Outback 2.5i trim comes with adventurous outdoor features like Symmetrical All-Wheel Drive, Hill Descent Control, and X-MODE®, a feature that adjusts the AWD to get optimal traction on even low-friction surfaces. The standard roof rails make packing extra gear easy, while the 60/40-split folding rear seatbacks inside produce even greater versatility. Speaking of the interior, you'll find that it's as advanced as it is capable. The STARLINK™ Multimedia system comes with connectivity through Apple CarPlay™ and Android™ Auto, while the standard EyeSight® Driver Assist Technology gives you and your family peace of mind. 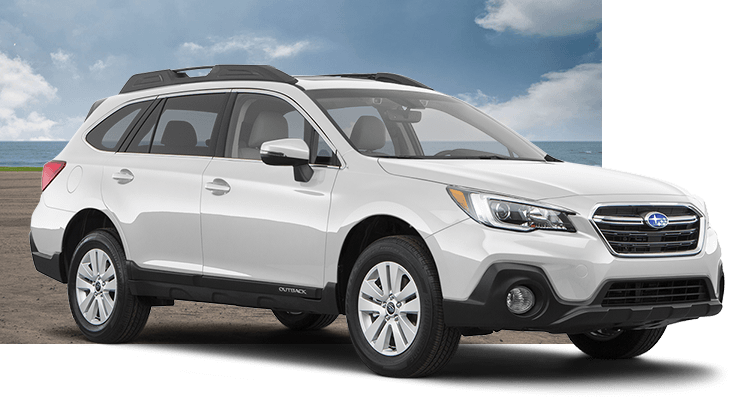 The Subaru Outback 2.5i Premium takes all that's great about the entry-level trim and adds even more! Dual-zone automatic climate control makes sure that the interior is warm or cool enough, and the 10-way power adjustable driver's seat with power adjustable lumbar support gives you even more comfort. The leather-wrapped steering wheel and electroluminescent analog instruments make the Subaru Outback 2.5i Premium live up to its name. With leather-trimmed upholstery and distinctive woodgrain-patterned matte-finished accent trim, the 2019 Subaru Outback 2.5i Limited is a refined wagon. Heated rear seats keep back-seat passengers warm and comfortable, and the 12-speaker Harman Kardon audio system delivers a high-fidelity experience you're sure to love. In addition, this trim comes with a power rear gate with height and memory functions to make it even easier to load up your Outback as you head out for adventure. Wherever your journeys take you, the Subaru Outback 2.5i Touring will help you find the way with its STARLINK™ 8-inch Multimedia system with navigation. High Beam Assist and Reverse Automatic Braking are standard features on this trim level, giving your family extra safety. Every door has auto-up/auto-down windows, and the heated steering wheel is great for warming your hands on those cold mornings. These two trim levels are almost identical to the 2.5i Limited and 2.5i Touring trim levels. The difference? They come with a six-cylinder BOXER® engine that puts you in control of 256 horsepower.